I so often get to photograph such beautiful couples for so many different life occasions, however when I get to shoot personal great friends it makes it that much more special! 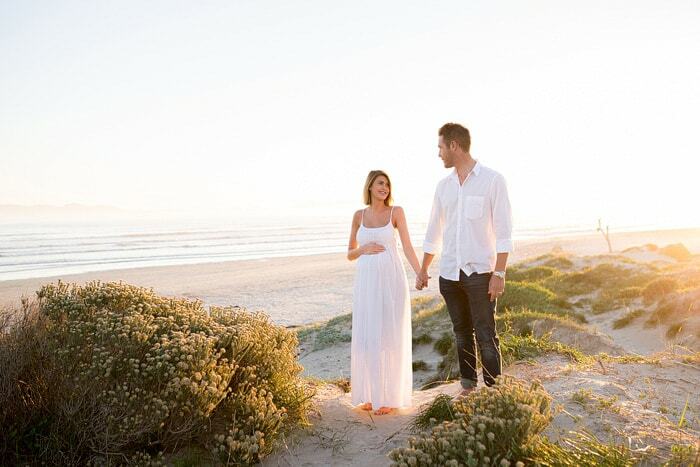 I photographed Kearin & Alex on a perfect Cape winter’s evening at Strand beach with a perfect sunset awaiting their even more perfect little arrival. Luckily we did the photoshoot in the nick of time as little Hudson decided he couldn’t to wait to meet his parents and surprised them only a few days later! Kearin is honestly one of the most beautiful pregnant mammas I have ever seen let alone have the joy of photographing and it was such an honour to capture my friends at such a special time of their lives. Thank you for allowing me to come along on this epic journey with you both!